Informations sur le produit "MP2030M-GS"
Tamron’s latest block camera shows outstanding image quality due to its global shutter. 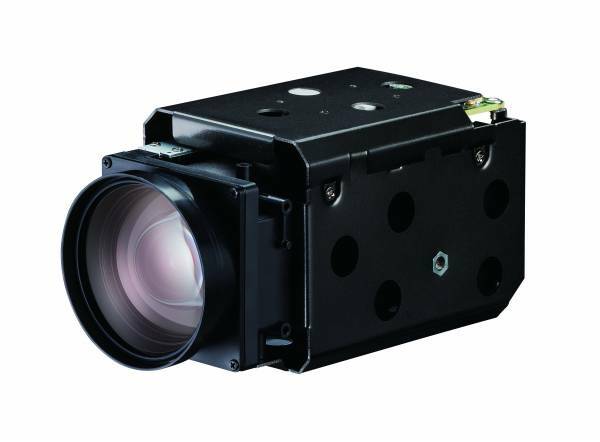 The camera is utilizing the latest Sony CMOS sensor to guarantee high picture quality with low noise, the global shutter prevents motion blur while capturing fast moving objects. The random trigger mode allows synchronization with external trigger sources taking images with even higher precision. Besides this a cutting-edge 30x zoom lens, electronic image stabilization, wide-dynamic-range mode and defog features make it a perfect option for outdoor applications.